This mirror is just perfect for making a grand statement in your living room. Curved top with ornate detailing in an antique gold finish. Ideal for hanging over a mantelpiece. Just what you need for adding some classic elegance and traditional styling to your interior. 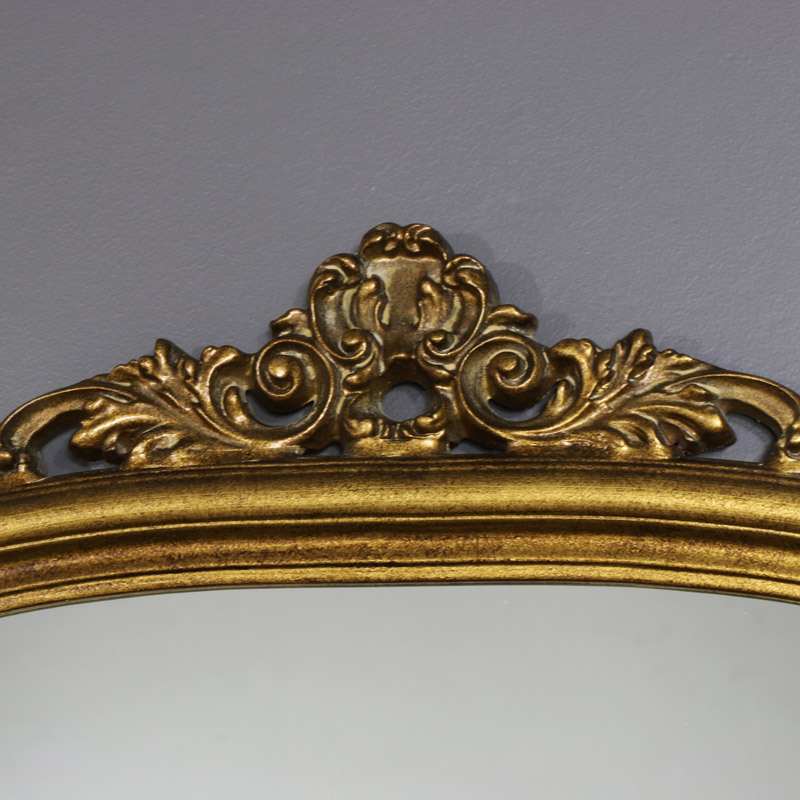 This is a beautiful mirror and will make a stunning focal point in the living room and would also look fantastic in a large hallway or entranceway. A great way to showcase your home and add some sophisticated charm and elegance. This mirror is just perfect for making a grand statement in your living room. Curved top with ornate detailing in an antique gold finish. Ideal for hanging over a mantelpiece. Just what you need for adding some classic elegance and traditional styling to your interior. 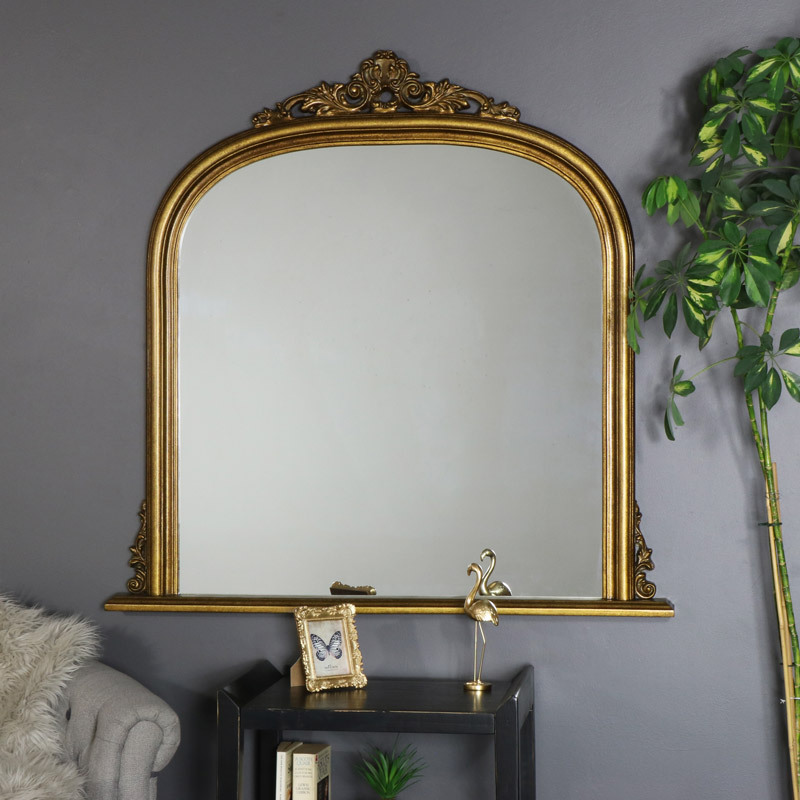 This is a beautiful mirror and will make a stunning focal point in the living room and would also look fantastic in a large hallway or entranceway. A great way to showcase your home and add some sophisticated charm and elegance. 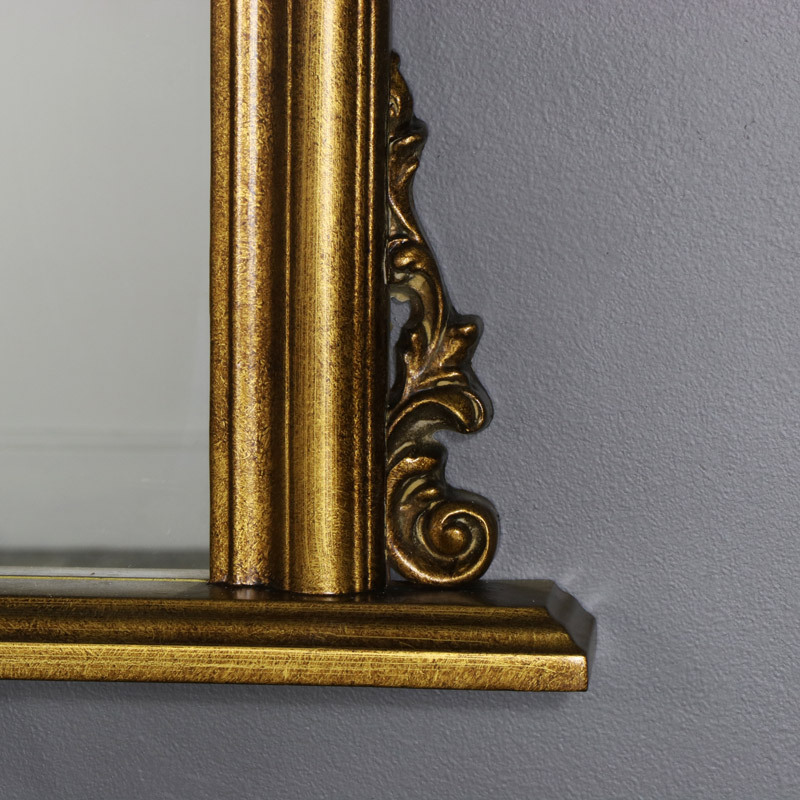 Made with a resin frame finished in an antique gold to give the appearance of age. The mirror is easily wall mounted with hooks on the back for hanging.